We are proud to serve the Cleveland community for over 50 years making the German language and culture available to both children and adults. Our curriculum incorporates cultural experiences in addition to the time spent in the classroom by creating a one of a kind experience when anchoring the use of the language and building a community and fellowship. 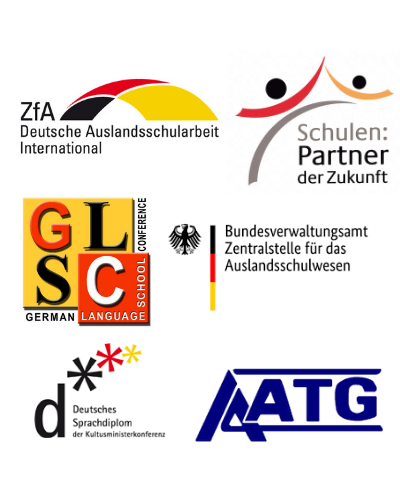 Our advanced students can participate in exams that either fulfill the language proficiency requirements for admission to German universities or help them get credit for their language proficiency at their high schools. Our tuition rates are among the lowest in the country thanks to an amazing partnership with Donauschwaben’s German-American Cultural Center, fundraisers, and generous donations. Be sure to join our mailing list to stay up-to-date on upcoming events, fundraisers and when registration is open for the next school year. German Language School Cleveland shared a post. - The grand medieval Cathedral in the heart of Paris. 13 million visitors yearly: the most visited monument in Europe and the most famous gothic building worldwide. - La grandiose Cathédrale médiévale au coeur de Paris. 13 millions de visiteurs par an: le monument le plus visité d'Europe et le plus célèbre édifice gothique au monde. - La grandiosa Cattedrale medioevale nel cuore di Parigi. 13 milioni di visitatori: il monumento più visitato in Europa ed il più famoso edificio gotico del mondo.